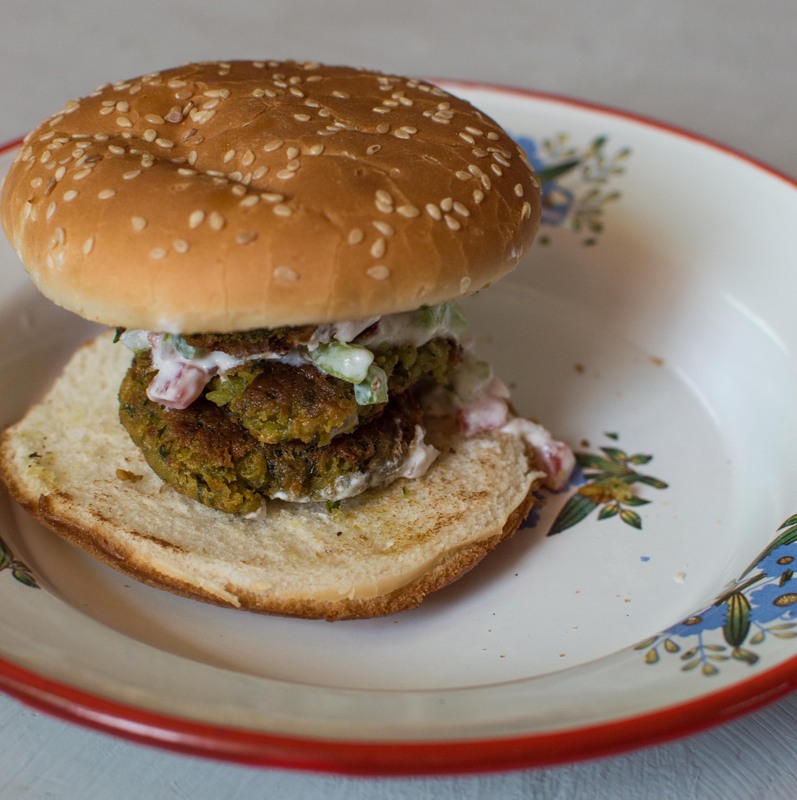 #CookandChomp Falafel Burger - CHOMP! SLURRP! BURP! I cannot exactly point out the first type I tried falafel, but I remember reading all about these kebabs made from the humble choley. It was difficult for me to fathom that the much loved Indian legume could be transformed into something as smooth and gratifying as hummus or as crunchy as falafel. 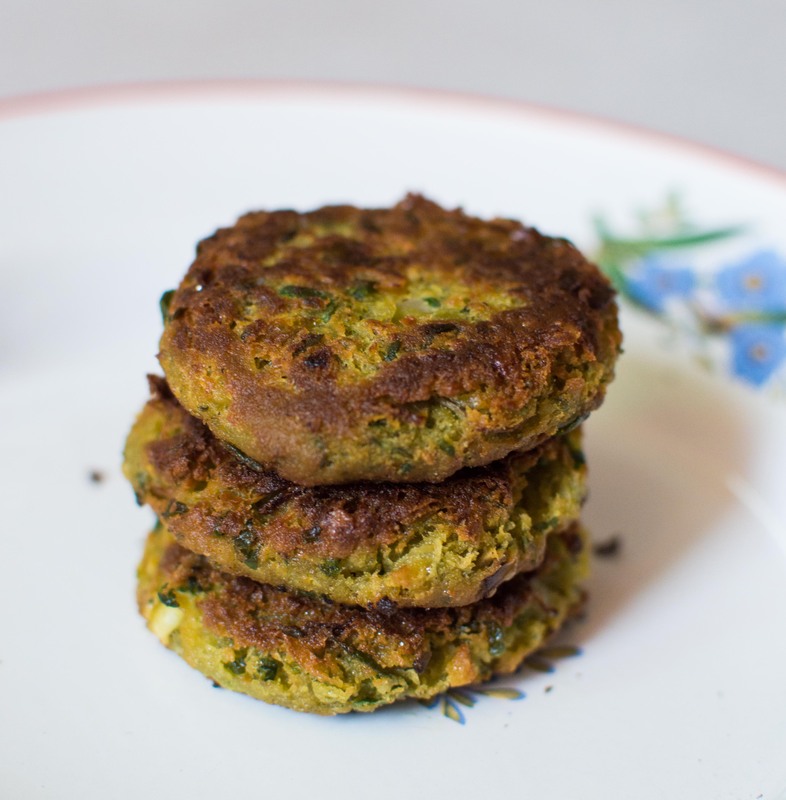 Over time, I tried falafel at many places and finally decided to make my own version of it. This is not as dry as the falafel I have generally had but more like a juicy kebab. You can eat it as is or make it into a burger like I did. Wash and soak the choley overnight with. Drain the water. Transfer the chole into a pressure cooker, cover with fresh water, add salt and cook 15 minutes. Meanwhile, wash coriander and spinach leaves. Break them roughly. Add the peeled garlic cloves and pulse till a fine mixture is formed. Drain the choley, add the greens and garlic mixture. Add the chilli and coriander powder. I used the L shaped spatula used for pav bhaji instead of mixing it in the mixer giving me more control to check on the coarseness of the mixture. Add the flour and mix well till it all binds together. Add more flour if needed. Make flat patties and leave to set in the refrigerator for 20 minutes. Heat oil in a shallow pan and fry till done from both sides. Finely chop the onion, capsicum, and tomatoes. Mix in the hung curd, season with salt and pepper and serve chilled. 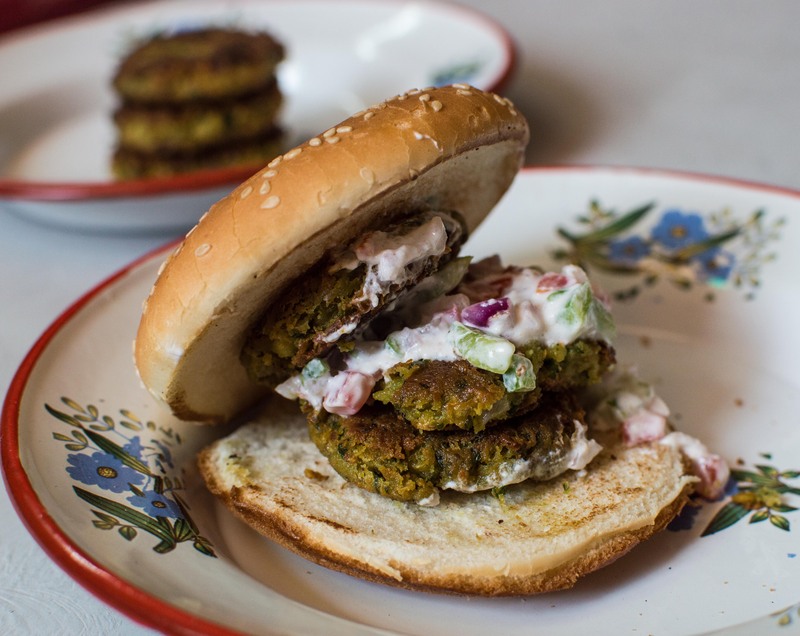 In case you are planning to make it into a burger, you can also add lettuce leaves and finish with hummus for a more authentic Lebanese experience, or simply try your own version of falafel.